Jason Koehnens (THE KILIMANJARO DARJAZZ ENSEMBLE / BONG RA) solo project. The term WHITE DARKNESS describes the entrancing force that comes over oneself, rising from the earth directly into one's body, its whiteness a glory, and its darkness, terror. This effect depends on self-surrender and a degree of depersonalization, although an observing part of the ego is still present. White is sublimity, darkness is terror. They are unified at the climax of the trance. In this emptiness there is oblivion. An emptiness filled with powers that move in the most sublime fashion, entranced gods, divine dancing. The term WHITE DARKNESS is paradoxical, but paradox is often required to point to non-ordinary reality. The idea behind WHITE DARKNESS was to take the essence of Doom Metal (the funeral drums and melodic dirges) and place it into a futuristic and nihilistic background. Mainly using drums, electronics and piano - and, here and there, strings - Jason Koehnen creates music related to Metal, but puts everything in a totally new and different context. He already used extracts of the debut record NOTHING for parts of art performances and thats exactly what comes to your mind when youre starting to listen to TOKAGE. It could be the soundtrack for a nihilistic expressive play which doesnt need any speech to catch your attention. 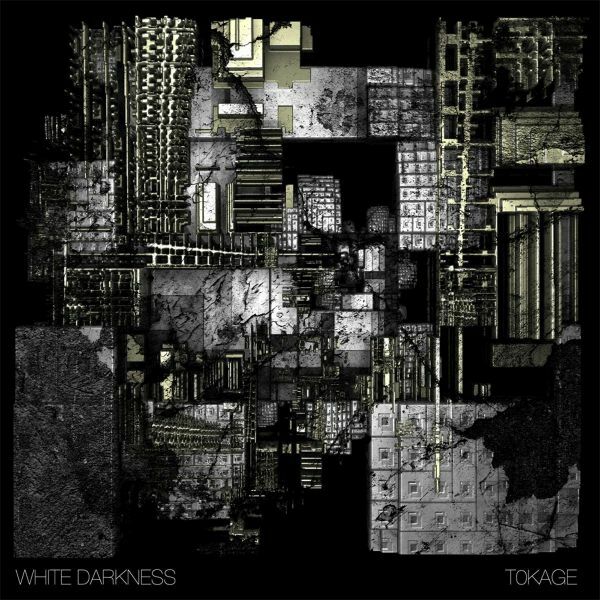 TOKAGE is the heavy trip to your primal fear. Vinyl: 180g + thick gatefold sleeves.